Accord is a family run estate agency based in Rise Park offering property sales, residential lettings and management throughout Romford and surrounding areas. At Accord we are proud to provide a friendly, helpful service based on sound knowledge and experience. We understand that effective communication is vital and we are here to guide buyers, sellers, landlords and tenants alike through the complicated sales and lettings processes. Hunters is the UK’s fastest growing, independent estate agency chain. We are the largest estate agency franchise network with over 100 branches throughout the country. Our ambition is to become the nation’s favourite estate agency brand by 2015 and to achieve this we intend to invest more time, money, expertise and technology than any other estate agent. Keys & Lee is a privately owned independent estate agency providing a high standard of service in all aspects of residential sales, lettings and property management. Our knowledge of the local area is unrivalled and it is no coincidence that a high proportion of company activity is repeat business from satisfied clients. We understand that moving home is an extremely stressful time and our professional and friendly staff are there to make this period run as smoothly as possible. Here at STEPS ESTATE AGENTS our aim is to find you a new home, with the least amount of stress possible. We pride ourselves on the service we provide to both vendor and purchasers alike. 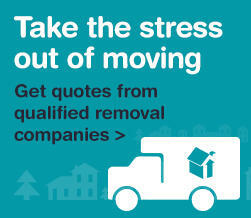 It is widely considered by our many satisfied clients that we are the first stress free step when considering a move.